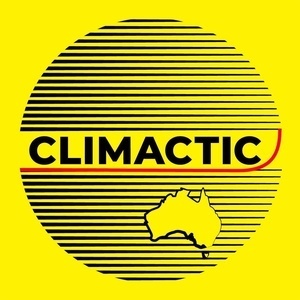 Climactic goes behind the scenes with Act on Climate, Friends of the Earth's premiere political action group, as they gear up to fight a pivotal state election. This one's for you if you've ever wondered what political/climate activism is really like. And, spoiler alert, they're a bunch of relatable, earnest, caring people. This is the first miniseries from Climactic made in collaboration with an environmental group, and we couldn't have a better partner in this than Act on Climate. For the next 8 weeks we'll be sharing their stories, which they're already telling every Monday night at FoE Smith Street, Fitzroy, and on their excellent Twitter, Facebook, and blog. Links below. If this has sparked an interest in you to get involved in this, or other campaigns, feel free to come along or drop a message to them. We'll be back next Sunday, same time same place, with week 2 of this exciting series. Act on Climate Victoria — Act on Climate is a team of citizens who are concerned about climate change and want to take action on it at a grassroots level. 'Terrible': Rising gas output lifts Australia's greenhouse gas emissions — Australia's greenhouse gas emissions have continued to climb, reaching the highest levels on a quarterly basis since 2010, led by a surge in gas production. Trump administration sees a 7-degree rise in global temperatures by 2100 - The Washington Post — The analysis assumes the planet’s fate is already sealed.